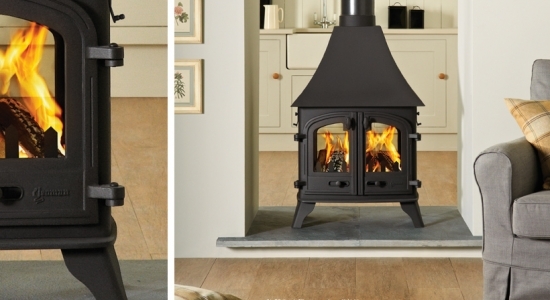 There can be few sights as inviting or reassuringly evocative, especially on a cold winter’s night, as the roaring fire of a Yeoman double-sided stove turning two rooms into the warming heart of your home. With a Yeoman Double you enjoy twice the stove. 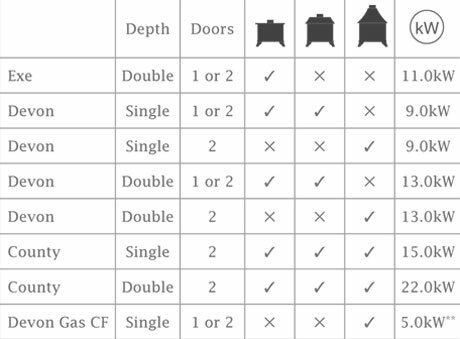 Doors front and back are designed to open into adjoining rooms with one central chimney. You can choose from Exe, Devon and County models and from single or double depth versions. Each model also has a number of styling options to complement your decor. In addition to the wood/multi-fuel stoves, the Devon double, single depth is available with the convenience of a highly realistic, gas log effect fire. Opt for the remote control and you can even adjust the flames and heat from the comfort of your favourite armchair or sofa.